New Jersey – In February of 2005, Attorneys for Plaintiff, Howmedica Osteonics Corp., of Mahwah, New Jersey filed suit in the District Court of New Jersey alleging that Defendants, Zimmer, Inc. of Warsaw, Indiana, Centerpulse Orthopedics, Inc. of Austin, Texas, and Smith & Nephew, Inc. of Memphis, Tennessee infringed its rights in United States Patent No. 6,174,934 (“the ‘934 Patent”) for “Non-oxidizing Polymeric Medical Implant”, United States Patent No. 6,372,814 (“the ‘814 Patent”) for “Non-oxidizing Polymeric Medical Implant”, United States Patent No. 6,664,308 (“the 308 Patent”) for “Non-oxidizing Polymeric Medical Implant”, and United States Patent No. 6,818,020 (“the ‘020 Patent”) for “Non-oxidizing Polymeric Medical Implant”. Plaintiff sought judgment for damages including interest and costs, treble damages, expenses, and attorneys’ fees. 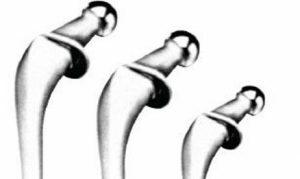 Plaintiff is a corporation that develops, manufactures, and distributes orthopedic products, generally used in hip and knee procedures and other bone replacement procedures. Defendant is a corporation based in Warsaw, Indiana, that also focuses on products for joint and extremity replacements. Washington, D.C. – A unanimous decision by the U.S. Supreme Court this week gave district courts more flexibility to award enhanced damage in cases of willful patent infringement. This decision consolidated two patent infringement lawsuits, Halo Electronics, Inc. v. Pulse Electronics, Inc., et al. and Stryker Corp. et al. v. Zimmer, Inc., et al, in which Indiana-based Zimmer, Inc. was sued. In each lawsuit, the proper interpretation of the statutory language of 35 U.S.C. §284, which permits district courts the discretion to award enhanced damages in cases of patent infringement, was at issue. The Court also noted that the Seagate test improperly allowed ex post facto defenses in considering culpability. Specifically, under the Seagate test, an infringer could rely on a defense at trial, even if he had been unaware of that defense at the time he had acted. This, the Court held, ignored the general rule that culpability is to be determined by an actor’s knowledge at the time of the conduct in question. The Court vacated the judgments of the Federal Circuit in both cases and remanded them for further proceedings consistent with the Court’s opinion. Although this was a unanimous opinion, Justice Breyer authored a concurring opinion, in which Justices Alito and Kennedy joined. 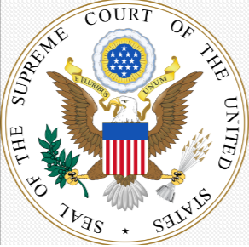 Washington, D.C. -The United States Supreme Court has agreed to hear appeals in two separate lawsuits, Halo Electronics, Inc. v. Pulse Electronics, Inc., et al., Case No. 14-1513, and Stryker Corp, et al. v. Zimmer, Inc., et al., Case No. 14-1520, on the issue of willfulness as a prerequisite for awarding enhanced damages in patent infringement litigation. The two cases were consolidated. Under 35 U.S.C. § 284 of the Patent Act, a district court “may increase … damages up to three times the amount found or assessed.” Despite this language, which on its surface is permissive and discretionary, the Federal Circuit imposes a stricter test. For a district court to award enhanced damages under § 284, this test requires that a patentee prove by clear and convincing evidence that infringement was “willful.” A determination of willfulness requires a finding of both (1) an objectively high likelihood that the infringer’s actions constituted infringement, and (2) that this likelihood was either known or so obvious that it should have been known to the accused infringer. 1. Has the Federal Circuit improperly abrogated the plain meaning of 35 U.S.C. § 284 by forbidding any award of enhanced damages unless there is a finding of willfulness under a rigid, two-part test, when this Court recently rejected an analogous framework imposed on 35 U.S.C. § 285, the statute providing for attorneys’ fee awards in exceptional cases? 2. Does a district court have discretion under 35 U.S.C. § 284 to award enhanced damages where an infringer intentionally copied a direct competitor’s patented invention, knew the invention was covered by multiple patents, and made no attempt to avoid infringing the patents on that invention? The Court granted motions by Independent Inventor Groups and Nokia Technologies OY, et al. to file briefs as amici curiae. Practice Tip: In December 2014, the Federal Circuit overturned the decision of the Western District of Michigan to triple the damages awarded to Stryker, reducing the amount from $228 million to $70 million. Indianapolis, Indiana – Plaintiff and Indiana copyright attorney Richard Bell of McCordsville, Indiana was ordered by Judge Tanya Walton Pratt of the Southern District of Indiana to pay almost $34,000 in attorney’s fees and costs to Defendant Charles Lantz, whom Bell had sued on unsupported allegations of copyright infringement. Indiana copyright attorney Richard Bell, who is also a professional photographer, has sued hundreds for copyright infringement. The lawsuits began in 2011. At issue in Bell’s spate of litigation were allegations of unauthorized use of his copyrighted photograph of the Indianapolis skyline, which had been registered at the U.S. Copyright Office. The ongoing saga of this multiplicity of copyright lawsuits took an interesting, if unsurprising, turn last week. A current copyright-infringement lawsuit, filed January 8, 2013 by Bell, named forty-seven Defendants. Forty-six of those Defendants were dismissed from the lawsuit, including some who settled and some against whom a default judgment was issued. Default judgments of $2,500 were awarded in this litigation. One Defendant, Charles Lantz, refused to pay for copyright infringement that he had not committed and hired Indiana intellectual property attorney Paul Overhauser (publisher of this blog) to defend him. In December 2014, Lantz’s perseverance paid off and the court granted an unopposed motion for voluntary dismissal of the litigation against Lantz. Last week, Lantz’s perseverance paid off again when Overhauser, on behalf of Lantz, sought and was awarded $33,974.65 in attorney’s fees and costs from Plaintiff Bell. The court explained that, because Bell’s copyright litigation against Lantz had been dismissed with prejudice, Lantz became the “prevailing party” under the Copyright Act. Under 17 U.S.C. § 505, in any civil copyright action, the district court may award litigation costs, including attorney’s fees, to the prevailing party. Regarding the third and fourth factors, the court held that the litigation was objectively unreasonable, given that Lantz had been sued “without any evidence to support the claims.” The court then turned to the last of the Fogerty factors, the need to advance considerations of compensation and deterrence. It noted that Bell had leveraged his status as a practicing attorney “to file meritless suits and to attempt to outmaneuver the legal system” (which was perhaps a hat tip to the now-famous opinion written by Judge Otis D. Wright III, who employed similar language against another copyright plaintiff widely regarded as a copyright troll). Finally, the court was not swayed by Bell’s assertions that Lantz had failed to inform Bell that the wrong defendant had been sued and that Lantz had incurred unnecessary attorney’s fees. In response to these claims, the court noted that Lantz had “denied liability at his first opportunity.” The court also opined that, while defense counsel is not required to take the most economical defense strategy in defending a copyright lawsuit, it appeared that the “most economical approach feasible” may have been taken. With all Fogerty factors weighing against Bell and no viable opposition permitting either an escape from fees and costs or a lessening of the amount, the court awarded to Defendant Lantz $33,974.65, the full amount requested. Practice Tip: The Indiana Lawyer wrote an interesting piece regarding Judge Pratt’s order. That article may be viewed here. South Bend, Indiana – Chief Judge Philip P. Simon of the Northern District of Indiana ordered Defendants The Treasure Box, Inc. and Heather Hiatt, both of Elkhart, Indiana to pay statutory damages, attorney’s fees and costs to Coach, Inc. of New York, New York and Coach Services, Inc. of Jacksonville, Florida for trademark infringement and counterfeiting. By way of summary judgment, the court had earlier determined in this Indiana trademark and counterfeit litigation that Defendants The Treasure Box and Hiatt were liable for the trademark infringement and trademark counterfeiting of Plaintiff Coach’s trademarks. The court’s summary judgment determinations also included a finding that “The Treasure Box and Heather Hiatt acted with knowledge and intent” that was sufficient to support enhanced statutory damages. In this opinion and order, the court fixed the amount due to Coach from Defendants. Instead of requesting actual damages resulting from Defendants’ trademark infringement and counterfeiting within Indiana, Coach opted for statutory damages under §1117(c). It asked the court for damages of $100,000 for each of the 15 infringing marks, for a total of $1,500,000. The Treasure Box and Hiatt, unrepresented by counsel at the time, filed no response or opposition to Coach’s damages request. (2) if the court finds that the use of the counterfeit mark was willful, not more than $2,000,000 per counterfeit mark per type of good…, as the court considers just. Because the statute provides little guidance regarding what constitutes a “just” award, the court referred to the relevant factors under the analogous statutory damages provision in the Copyright Act, 17 U.S.C. §504(c). These considerations include: the profits reaped by the infringer; the revenues lost by the plaintiff; the value of the trademarks; whether the infringing conduct was willful; the duration of the infringement; and the potential deterrent effect on the defendant and others. In contrast, the factors of “value of the trademarks” and “willful conduct” weighed against Defendants. The court acknowledged that the Coach trademarks were valuable and noted that, in determining statutory damages, other courts had valued the trademarks at between $2,000 per mark and $30,000 per mark, for an average of approximately $14,000 per mark. Moreover, it characterized Hiatt’s infringement as having been pursued with “bold willfulness” with regard to her efforts to sell what she knew was knock-off Coach merchandise. The court concluded that an award of $3,000 per trademark for each of the 15 counterfeited trademarks at issue, for a statutory damages award of $45,000, was appropriate. The court was also asked to award to Coach attorney’s fees of $14,780 pursuant to §1117(a)(3). This section permits a court “in exceptional cases” to award reasonable attorney’s fees to the prevailing party. The court first noted the ambiguity inherent in the placement of §1117(a)(3) within the statute. Specifically, subsection (a) addresses recovery for actual damages, while subsection (c) allows a plaintiff to opt for statutory damages. Here, Coach chose an award of statutory damages under subsection (c), which raised the question of whether the provision for attorney’s fees under §1117(a)(3) could be applied. The only Court of Appeals to have addressed the question was the Second Circuit. That court concluded that subsection (c) offers an election as to the basis for damages, but not an election regarding remedies, including attorney’s fees. Thus, it concluded, a court could award attorney’s fees in conjunction with an award for either actual or statutory damages. Chief Judge Simon adopted the Second Circuit’s reasoning. He also determined that the definition of an “exceptional” case – for example, one in which “the losing party was the defendant and had no defense yet persisted in trademark infringement” – was also met, given the willfulness of Defendants’ knowing sale of counterfeit Coach goods and that Defendants had no viable defense. In addition to the statutory damages award of $45,000, the court awarded attorney’s fees of $14,780 as well as expenses and costs of $1,076.16 to Coach. The judgments were entered against Treasure Box, Inc. and Heather Hiatt jointly and severally. Practice Tip: Chief Judge Simon noted that Coach had a history of requesting statutory damages that were considerably in excess of what was eventually awarded by the courts in other cases. In Coach, Inc. v. Paula’s Store Sportwear LLC, 2014 WL 347893 (D.N.J. 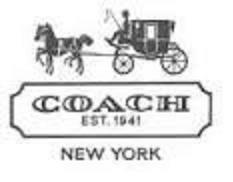 Jan. 31, 2014), Coach requested $800,000 in statutory damages – $100,000 for each of eight counterfeited marks – at a shop from which four counterfeit Coach wallets and two counterfeit Coach handbags had been seized. In that litigation for counterfeiting, the court noted that the retail value of the six counterfeit items was less than $1500 and awarded $5000 for each of the eight marks that had been counterfeited, multiplied by the two types of goods, for a total statutory damages award of $80,000. 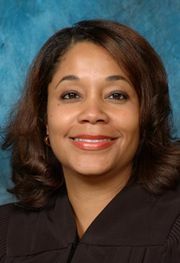 Indianapolis, Indiana – In Bell v. Glacier International, District Judge Tanya Walton Pratt (pictured) of the Southern District of Indiana granted default judgments against three defendants, DiamondIndyLimo.com, Lon Dunn and Glacier International. In the three nearly identical opinions, the three defendants were each ordered to pay statutory damages of $2,500 for infringing a copyrighted photograph. In January 2013, Indiana copyright attorney and professional photographer Richard N. Bell, acting as his own copyright lawyer, sued alleging copyright infringement under the Copyright Act and conversion under Indiana statutory law as a result of the allegedly unauthorized use of a photograph he had taken. This photograph had been registered with the United States Copyright Office. In this lawsuit, Bell sued forty-eight Defendants: Jerry Gordon; Demand Media, Inc.; Bryce Welker; Royal Corniche Travel Ltd.; VRBO.com, Inc.; Experience Credit Unions, LLC; Jaclothing.com; Glacier International; ABNHotels.com; 1&1 Internet, Inc.; Conde Nast Digital; Flixter, Inc.; Financing-USA.com; SodaHead, Inc.; NuMedia Marketing, Inc.; Jynell Berkshire; Tzvetelin Petrov; Los Pentecostales del Area de la Bahia; 10Best, Inc.; Keyes Outdoor Advertising; Zoom Communications Inc.; Christine Nevogt; Zarzar, Inc.; Hydro-Gear; Tam T. Dang; Lon Dunn; William McLaws, Trustee; Natl-electronic Residential Payment History Recording Agency; CVI; Constant Contact, Inc.; Charles Lantz; Schumacher Cargo Logistics; Eventbrite, Inc.; Celebrity Entertainment Corp.; Association of Equipment Manufacturers; Yardi Systems Inc.; DiamondIndyLimo.com; Marcelo Santos; National Rural Recruitment & Retention Network; Anbritt Stengele; Pinnacle Sports Equipment, Inc.; Marygrove College; RunAnyCity.com; Buzzle.com, Inc.; Charles Onuska; University of Indianapolis; and PersephoneMagazine.com. Bell alleged that each Defendant, independent of each other Defendant, “created a website to promote and advertise its own business” and placed Bell’s copyrighted photo on each of the Defendants’ respective websites. In addition to asserting copyright infringement, Bell also alleged criminal misconduct under Indiana statutory law. Bell requested an injunction and a declaratory judgment. He also asked the court for damages for copyright infringement under the Copyright Act as well as treble damages under an Indiana criminal statute prohibiting conversion. In September 2013, the court entered default judgments against each of the three Defendants. Last week, the court issued three new opinions addressing the damages to be assessed against those Defendants. The court first discussed the issue of damages for copyright infringement. Under 17 U.S.C. § 504(c)(1), statutory damages, in lieu of actual damages and profits, may be awarded “in a sum not less than $750 or more than $30,000” for each finding of infringement. A determination of willful copyright infringement permits the court in its discretion to increase the award of statutory damages up to $150,000 per infringement. In determining the appropriate measure of statutory damages, the court considers factors including: (1) the infringer’s state of mind; (2) the expenses saved, and profits earned, by the infringer; (3) the revenue lost by the copyright holder; (4) the deterrent effect on the infringer and third parties; (5) the infringer’s cooperation in providing evidence concerning the value of the infringing material; and (6) the conduct and attitude of the parties. The court declined to find the copyright infringement to be willful, in part because Bell requested statutory damages well under $30,000.00 per instance of infringement. Instead, the court found that $2,500 per Defendant was an appropriate measure of damages. An injunction was also granted, as it would serve the public interest by protecting copyrighted material and encouraging compliance with federal law. The injunction will be lifted upon payment of the award of statutory damages. A claim of conversion under Indiana state law, and treble damages awarded pursuant to such a claim, was denied as preempted by the Copyright Act. Indiana code § 35-43-4-3(a) provides that a “person who knowingly or intentionally exerts unauthorized control over property of another person commits criminal conversion.” However, section 310 of the Copyright Act preempts “all legal or equitable rights that are the equivalent to any of the exclusive rights within the general scope of copyright” and that “no person is entitled to any such right or equivalent right in any such work under the common law or statutes of any State.” The court held that the photograph in question was clearly under the scope of the Copyright Act and that Bell had not sufficiently alleged a right apart from the Act. Thus, no damages were available under Bell’s state law conversion claim. Deciding to simply ignore a complaint, as these defendants apparently did, can be a costly error. 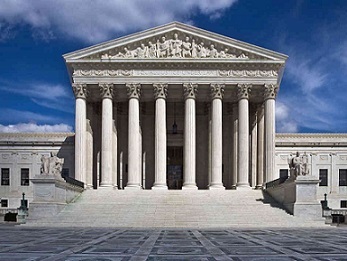 Failing to present the defendants’ versions of the facts and arguments results in the court considering only the plaintiff’s side of the story. Here, because the defendants chose to leave the complaint unanswered, the well-pled allegations of the plaintiff relating to liability were taken as true. After the entry of default judgment, the court then conducted an inquiry to ascertain the amount of damages. Again, in such circumstances, it serves a defendant well to plead his case – to present the court with reasons that the plaintiff should not get 100% of what he requests. Under 17 U.S.C. § 504(c)(1), a copyright owner may elect actual or statutory damages. Statutory damages range from a sum of not less than $750 to not more than $30,000. The determination of the exact amount is left to the discretion of the court. In this case, Richard Bell asked the court for no less than $5,000. In some cases, courts in determining damages in cases of default judgment have granted the entire amount. In this case, the court took the additional step of considering the cost to purchase Plaintiff Bell’s picture – $200 – and incorporated that into its determination of the proper amount of damages to be awarded.